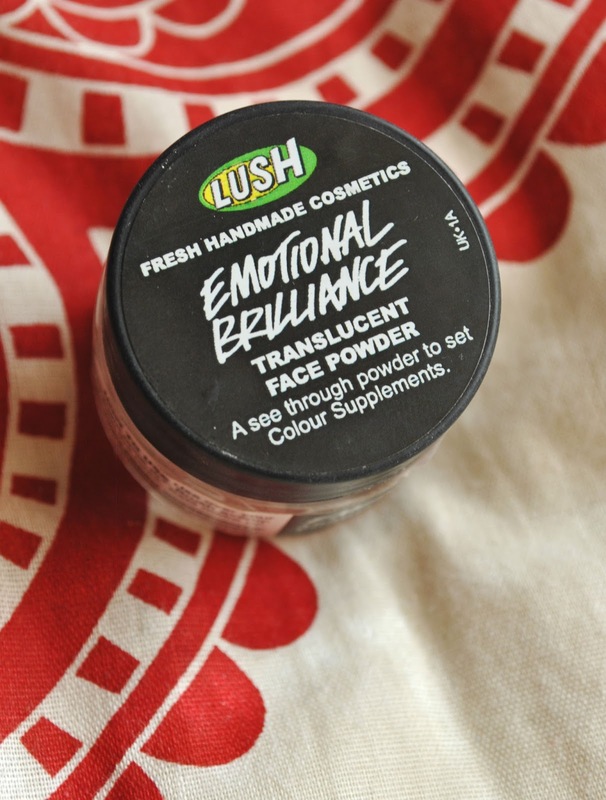 Towards the end of last year I picked up a sample pot of Lush's 'Emotional Brilliance' face powder. I like to use a powder to set my makeup and keep my face matte all day, but over the last couple of years I've found that most of them break me out, and for quite some time I used a pressed powder from Boots' '17' range as it didn't give me any problems. After a few months of being carried around in my bag my compact decided it had had enough and the powder, well, shattered, I suppose. Since I was in the process of swapping all of my makeup for cruelty-free products, and I was unsure as to whether or not Boots participated in animal testing, I thought I'd give Lush's offering a go - not only do Lush not test their products on animals, but they don't so much as associate with companies that do, which means that the both the end products and the individual ingredients are cruelty free, and none of the money you pay for the products end up in the pockets of companies that test on animals. Also, Lush use only safe and mostly natural ingredients, which means the product is going to be more gentle on your skin, and this encouraged me to think that this powder wouldn't break me out. 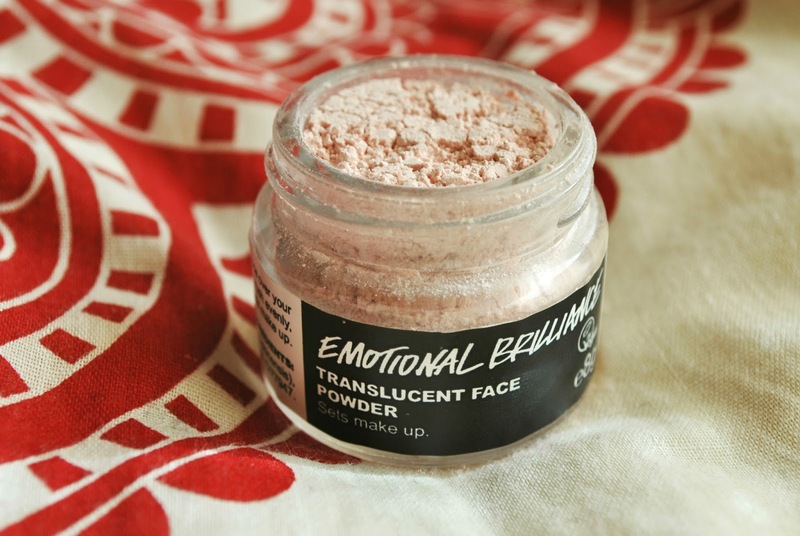 The ingredients list of this powder is incredibly short (talc, mica, jojoba oil, iron oxides and CI77947), and each one has a reason for being there: the talc will absorb oil and keep your face soft and matte, the mica will make your skin look radiant because of its light reflecting properties, the jojoba oil will help prevent your skin from drying out as it is a very moisturising oil, and the iron oxides and CI77947 will add some colour to the powder. Although there are colouring ingredients in this product, it doesn't actually add colour to your face, rather, it evens out your skin tone whilst looking very natural. 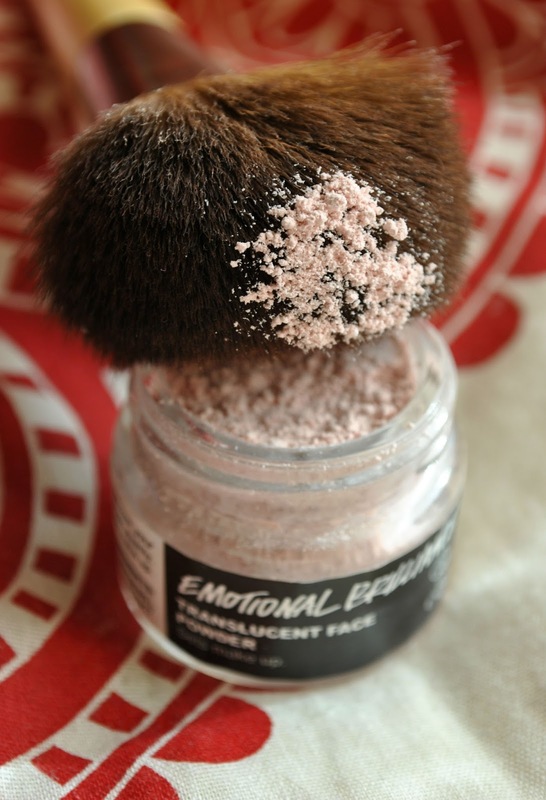 The powder is very finely milled, so it goes on smoothly and evenly. When I do my makeup, I usually pick up a small amount of product with the tip of my Ecotools powder brush, tap it into the lid and gently swirl my brush in it to spread the powder out evenly, tap off any excess and apply it to my face, focusing on my T-zone and either side of my nose. It keeps my face smooth, soft and naturally matte throughout the day, it stops my makeup from budging and it doesn't break me out, and that's everything I look for in a face powder. It also doesn't look at all cake-y or orange, and it works equally well over concealer/foundation or a bare face. The little sample pot lasted me around three months and I was very impressed with it, and after using one of my older face powders for a few weeks after my EB sample ran out and breaking out, I decided to go out and pick up a full-sized pot. It may seem expensive at £12, but it will last for such a long time, plus you know that you're buying something cruelty-free which has been produced ethically and by hand, not to mention the fact it sits so well on the skin and won't clog your pores. Lush also offer a range of lipsticks, blushes, eyeshadows and liners as well as a collection of skin pigments (including five concealers/foundations, a highlighter and a bronzer) which I've yet to try, but if this product is anything to go by I might have to try some of them soon. If you decide to give this powder a go, let me know how you get on!